There’s no question that it’s important to cool your kills quickly. Whether it is a deer, turkey, duck, or fat feral pig, field-dressing the animal and removing its feathers and/or skin are always the first steps to dropping its carcass to an acceptable temperature. 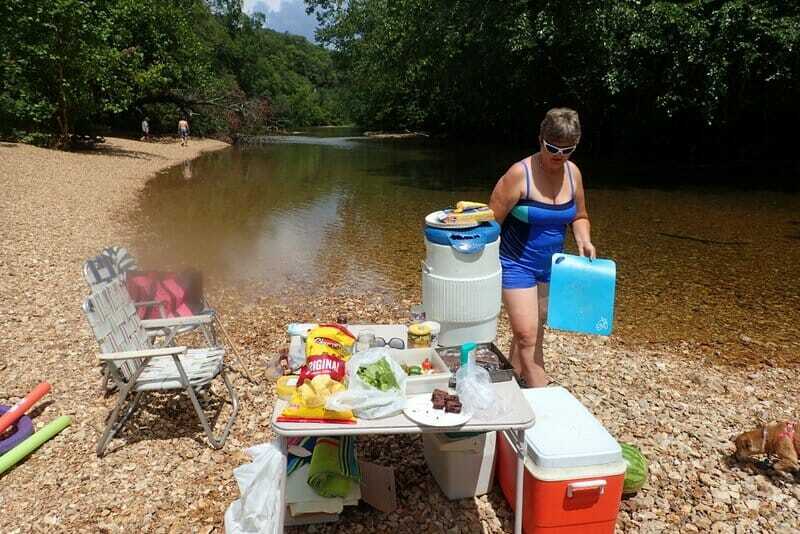 The new coolers and their ability to hold ice longer have really been one of the must haves for the outdoor community. Allowing hunters to go deep into the wilderness for long trips and keep drinks cold, as well as the meat after your harvest. And also holding that ice on those hot summer days on the lake, which makes them a worthy investment. Why do we need coolers? “After a kill, it’s ideal to cool the meat as soon as possible,” especially if you are not planning to eat the meat soon after you arrive home. “How fast you need to cool the meat really depends on the temperature of the environment during and after the kill. The body temperature of an average live turkey is quite high, and bacteria thrive at such temperatures. So, if the meat isn’t cooled properly, the growth rate of micro-organisms will drastically increase the chances of meat spoilage.” So, not only does bad venison taste like crap, it could give you the craps. It is important to cool the meat evenly on all sides, which makes a cooler from the CoolersWorld an essential piece of gear for any serious hunter—especially if you do a lot of traveling. Hunters don’t (usually) operate in a plush environment, so their coolers need to be constructed accordingly. Pickup truck beds, campsites, wildlife, and drunken dudes are all a threat to the life expectancy of a cooler. A hunting cooler should be able to take a beating and still survive multiple trips, multiple seasons, multiple years. You should be able to sit or stand on it without wondering whether or not it will support your weight (why you would need to stand on a cooler is irrelevant). If the cooler accidentally fell out of the back of the truck because you forgot to strap it down or close the tailgate, that shouldn’t be the end of it. In short, you need your cooler to be durable. Happy camping, fishing, hunting, and many backyard escapades! We all need it more than we think! We get home feeling rejuvenated and feel refreshed with our commune with nature. If the stars were in alignment, you will be taking home a beautiful animal for food, but consider toting a cooler from the CoolersWorld to transport your meat. I own and operate jarheadcharters.com . We are a charter operation in Mexico. We use coolers daily. It seems to me that these really expensive coolers are great but completely unnecessary. THe tests generally show that they can keep the ice cold for days but who does that? Nobody. There are some very fine coolers out there with some very fine products.